Children will love being in on the joke in this tale of two mice on a hunt for food, one oblivious to the whiskered menace lurking in the shadows. In the big old house, Bo and Billy have run out of food and must venture out of their mouse hole to search for some. While Bo fearlessly explores every nook and cranny, he chides Billy for being afraid of everything -- but maybe Billy has good reason to be! 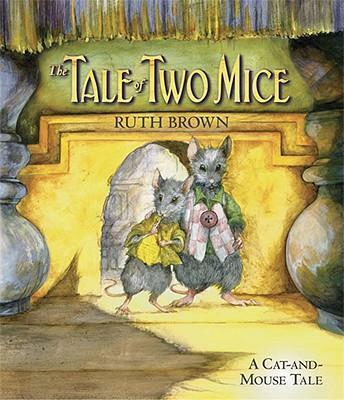 With Ruth Brown's enchanting artwork full of rich details and visual sleight-of-hand, this novelty tale of brotherly adventure and bravery will send eagle-eyed readers on a storybook hunt of their own. Richly detailed acrylic and watercolor illustrations with satisfying lift-the-flaps... deliciously detailed and creepy, with plenty of touches viewers will notice upon rereading. Ruth Brown is the author-illustrator of many beloved books for children, including THE OLD TREE: AN ENVIRONMENTAL FABLE. She lives in England.